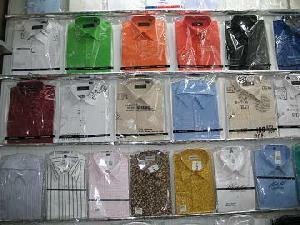 has the capability in producing 6, 000 pieces of shirts per day. In answer to your enquiry, we need to know exactly what material and composition you have decided before we can offer you our best co-operation prices. Above stated prices are on FOB China basis. Term B: 30% Deposit and balance payment to be remitted before shipment. 75 days upon receipt of your order and LC or Deposit. We should be much grateful if you would kindly send us your samples for us to make counter samples for your inspection and decision. Freight would be at your costs.